As you drive down Ferndale's Main Street, there is one building that immediately captures your attention, the 1890 Russ Building. This impressive Victorian building with Eastlake gingerbread detailing was built by Ira C. Russ and originally housed his bank, a mercantile, and a haberdashery on the ground floor, and commercial offices on the second floor. 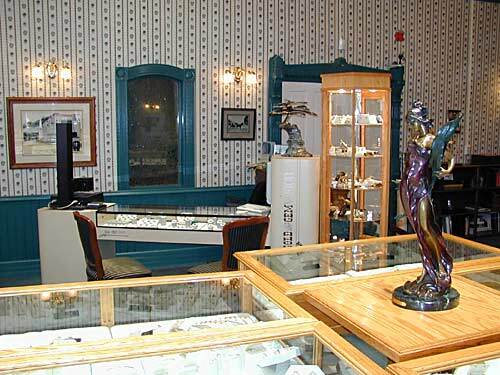 The Victorian Inn was built to high standards and features exquisite craftsmanship. It is contstructed entirely of local redwood, and embodies the elegance and romance of the timber boom era. It remains one of the most photographed buildings in Northern California. For many years the Victorian Inn has been operated as a historic hotel. 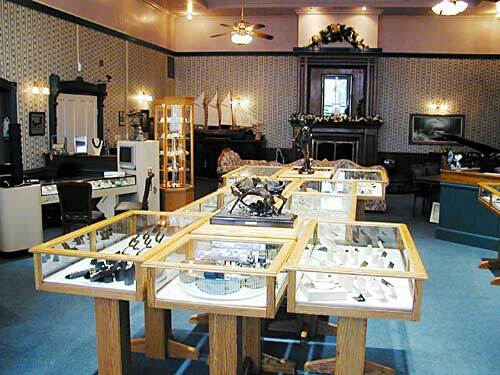 When the current owners, Lowell Daniels and Jenny Oaks visited Ferndale in search of a commercial building to move their jewelry business to, they fell in love with the Victorian Inn. And the rest they say, is history. Silva's Fine Jewelry occupies the portion of the building that formerly housed Mr. Russ' bank. 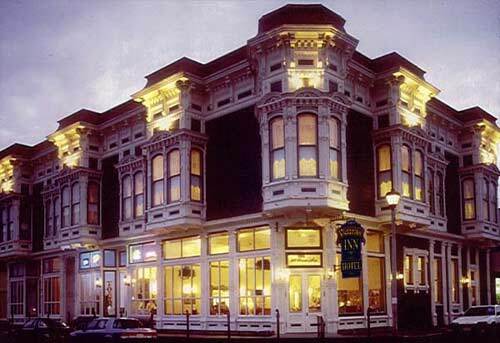 While the luxurious guestrooms occupy the upper floor, Silva's shares the ground floor with Curley's Restaurant, where you will find fine dining and cocktails. So come and shop at Silva's for unique fine jewelry, custom designs, gemological services and repairs. Perhaps check into one of the guestrooms, and have a cocktail and dinner at Curley's. You just don't need much more.